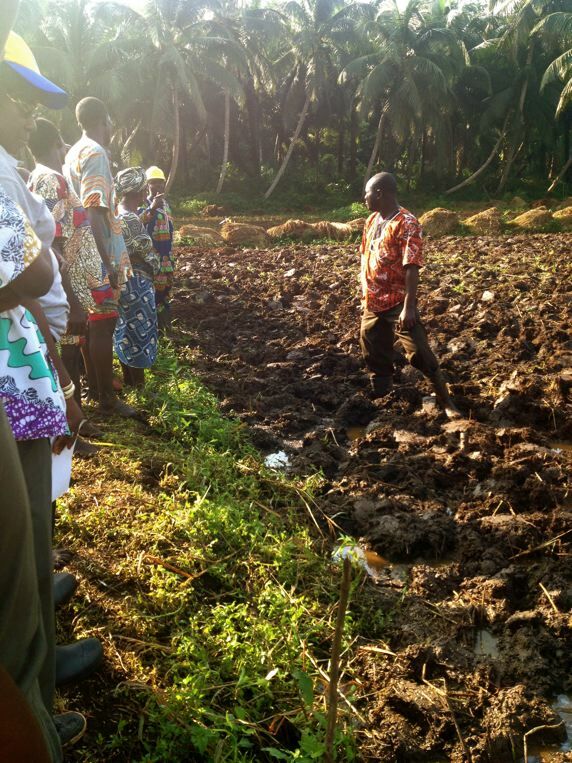 Fresh from the August 2014 regional training and workshop in neighboring Togo, the Benin WAAPP host organization PROCAD held the first training in November of an initiative designed to mainstream SRI in the important Ouémé River Valley in the southern part of the country. The training was held at the Hotel Behova in Dangbo, just northwest of Benin’s capital city, Porto Novo, from November 12th to 14th. Sixty farmers partook, with the training led by Dr. Pascal Gbenou, former West Africa head of rice for the West African Network of Farmer’s and Agricultural Producer’s Organizations (ROPPA) and founder of the nearby agricultural training school SAIN, and Antonin Akiyoko, an SRI trainer frequently active in central and northern Benin with the NGO DEDRAS. 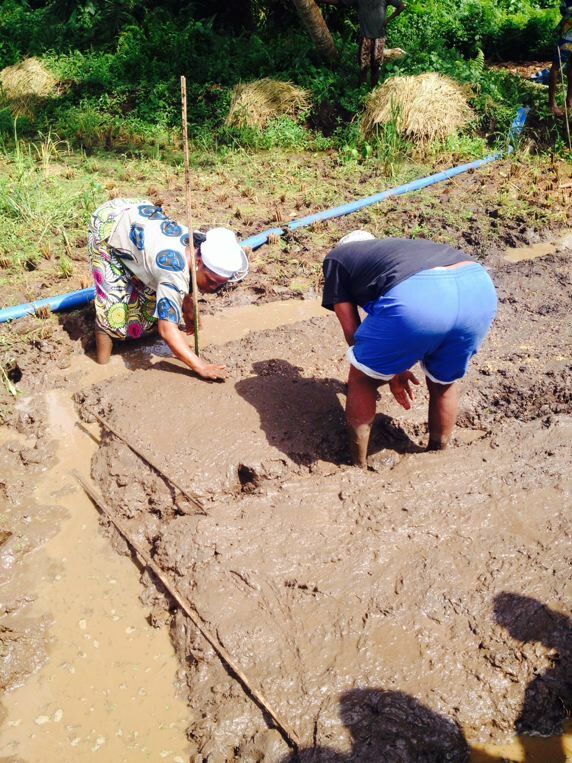 Participating farmers cultivate lowland rainfed fields, many with improved water management techniques. Over the course of the next few years future trainings of trainers and relay trainings will extend SRI to an estimated 5,000 farmers in the area. Pascal was instrumental in introducing SRI to the area and to Benin in 2009 after first learning about it while in Madagascar. 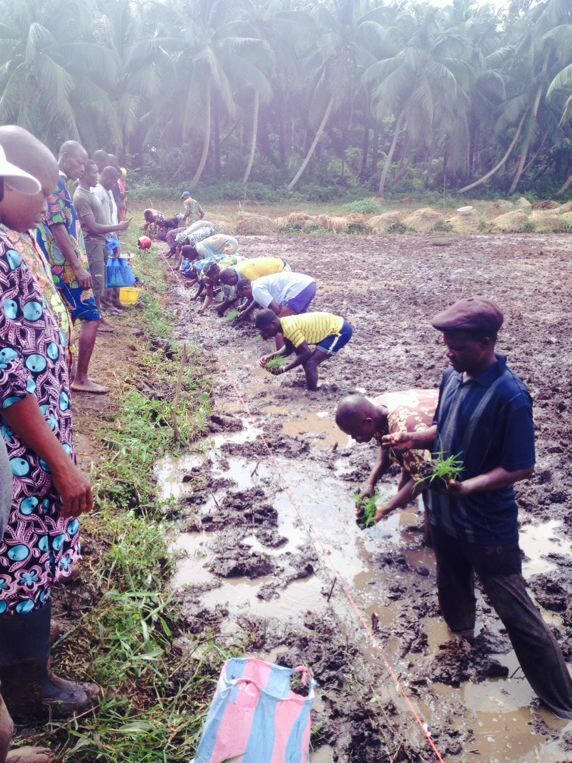 This entry was posted in Benin, Rainfed Lowland, Trainings and tagged Antonin Akiyoko, CARDER, Pascal Gbenou, PROCAD, SAIN on 06/01/2015 by sriwestafrica. 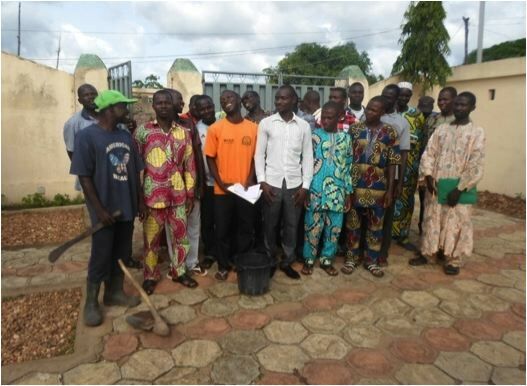 After first training farmers across Northern Benin in May and June 2013, the local NGO DEDRAS (l’Organisation pour le Développement Durable, le Renforcement et l’Auto-promotion des Structures Communautaires) decided to push further with SRI throughout the region in 2014, and in early May 2014 conducted back-to-back three day SRI trainings. The first of these trainings—held May 6th-8th at the DEDRAS farm in Sirarou, just north of Parakou—was conceived as a follow-up to last year’s trainings, and included a one day field tour to answer questions and provide technical support to farmers who had tried out SRI the previous season. In all, 48 farmers received training, 21 of which had previously been trained, and 2 new trainers were trained in SRI. 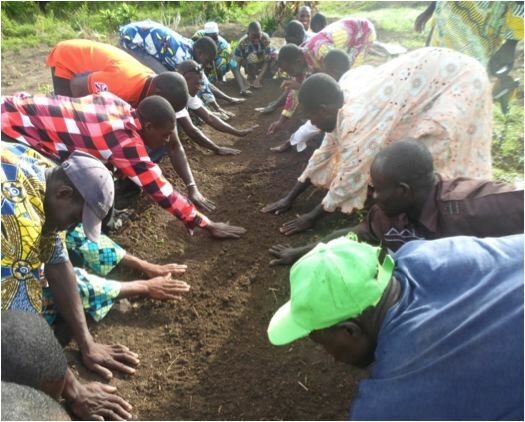 In the second training—held May 8th-10th at the DEDRAS compound in Djougou—23 farmers and 4 extension agents/trainers were trained. 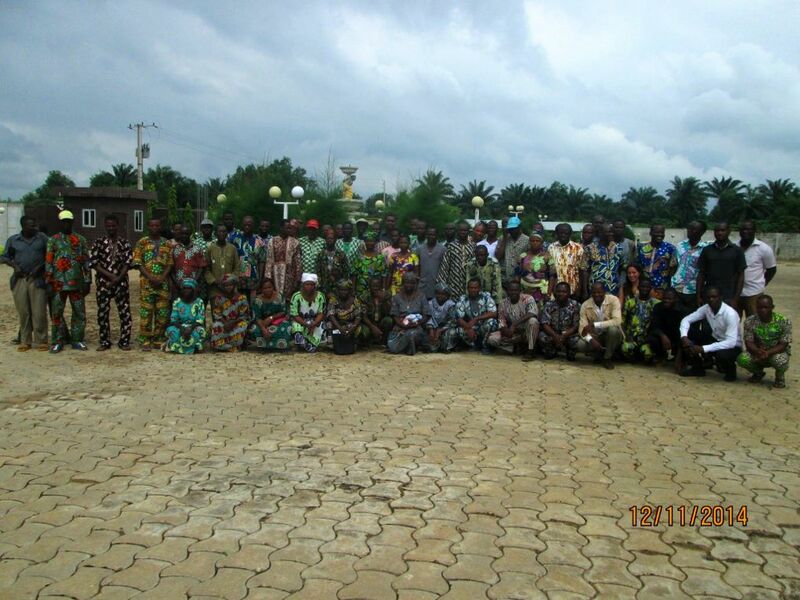 The reports for both trainings, along with other project documents from Benin, are available here. 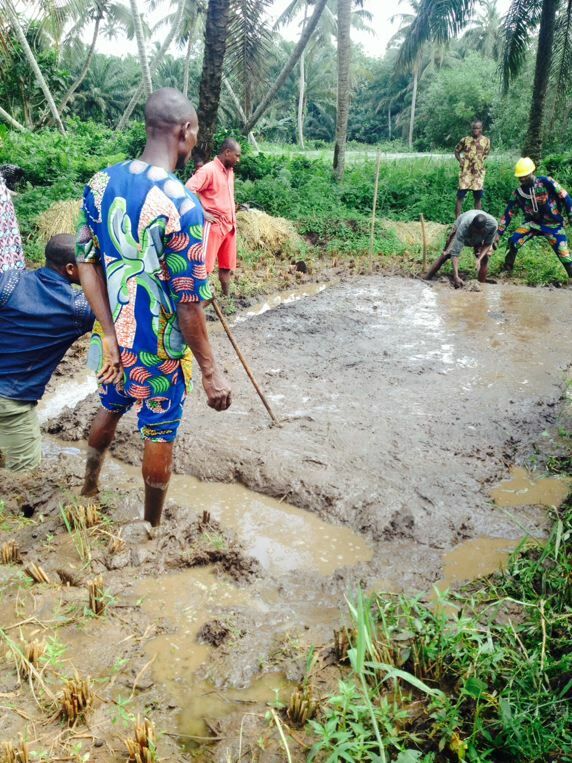 This entry was posted in Benin, Rainfed Lowland, Rainfed Upland and tagged Antonin Akiyoko, DEDRAS on 27/05/2014 by sriwestafrica.